Women and girls primarily bear the responsibility for household water supply and child care, and are the most affected by poor sanitation. The amount of time spent locating and collecting water represents a major barrier to economic gain and empowerment as it reduces time available for income generating activities and school attendance. 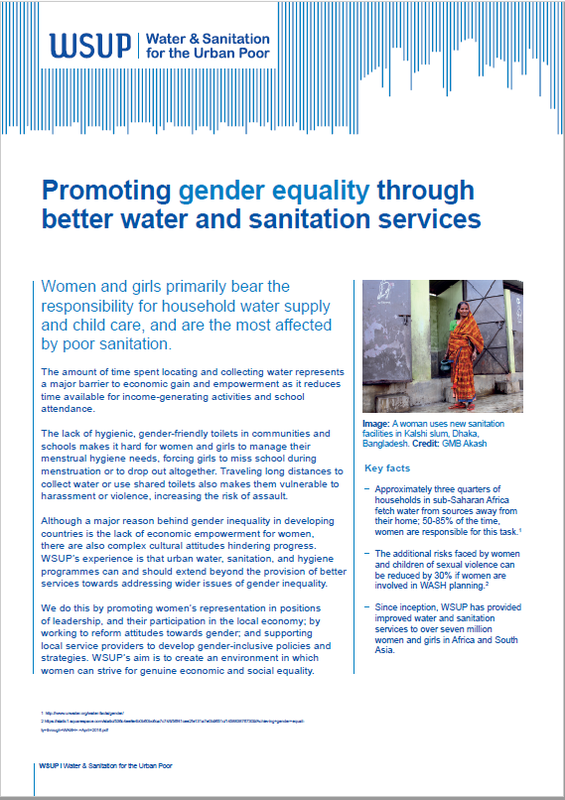 This paper highlights how WSUP is driving sector change with gender inclusive services.